As Node.js continues to grow in terms of popularity and as a viable solution for small and big web applications, many talented developers are creating Node-based systems to replace some of the old guard software many of us know and love. 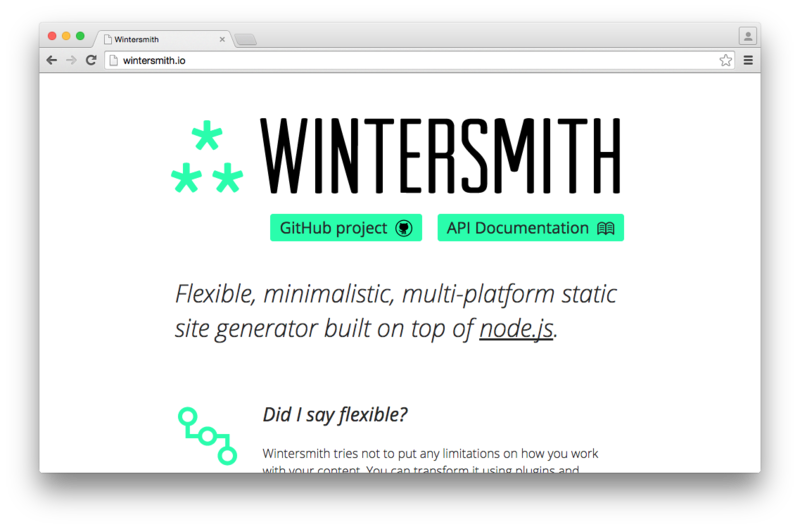 Wintersmith claims to be a flexible, minimalistic, multi-platform static site generator built on top of Node.js. Certainly, minimalistic is the key word! Wintersmith isn’t suited for beginners, but it’s perfectly fine for intermediate or advanced developers looking to get up and running with little fuss. Wintersmith’s approach isn’t the only thing that’s minimal. It was coded in CoffeeScript and ships with Jade and Markdown ready to go. This static site generator hosts its API docs on the website, but uses GitHub for hosting the wiki. The information is straightforward but sparse. However, a decently active StackOverflow tag and IRC channel (#wintersmith) means help isn’t too far away. 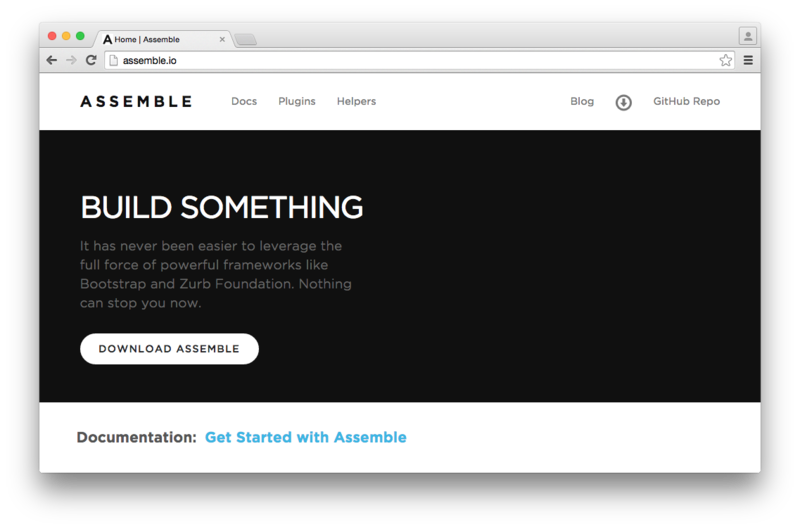 Assemble is a powerful tool that integrates Grunt and Yeoman into its workflow. Like Punch and DocPad discussed later in this article, Assemble tries to get designers and developers on the same page. For example, Assemble comes pre-packaged with Handlebars, one of the most widely used and beginner-friendly templating systems available. 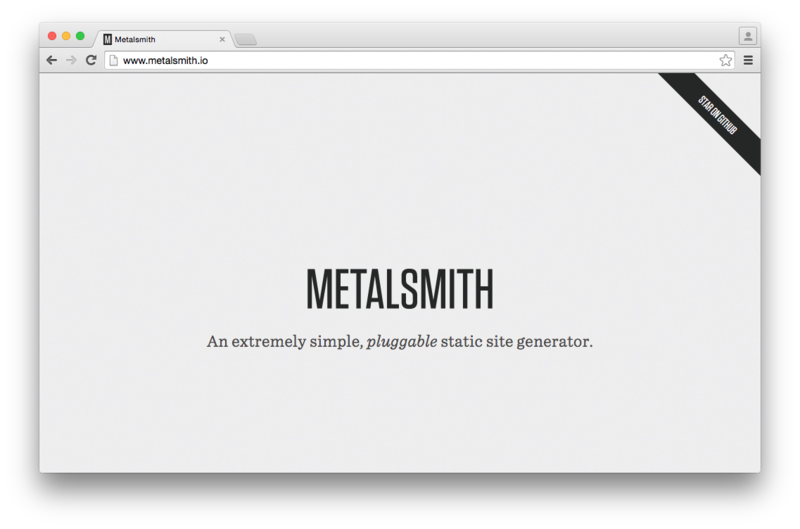 Metalsmith immediately caught my attention not only thanks to its beautiful and minimal design, but also because of the following tagline: An extremely simple, pluggable static site generator. The first blurb goes on to explain that all of the logic in Metalsmith is handled by plugins. You simply chain them together. This makes Metalsmith the most versatile of all the systems presented here. But with great pluggability comes great responsibility. Metalsmith is for intermediate and advanced developers who want a satisfying mix of flexibility and control over their content. Their website offers a few examples of what kind of content this static site generator can help you with: a project scaffolder, ebook generator, build tool, and technical documentation. Metalsmith isn’t just for blogs and simple websites! 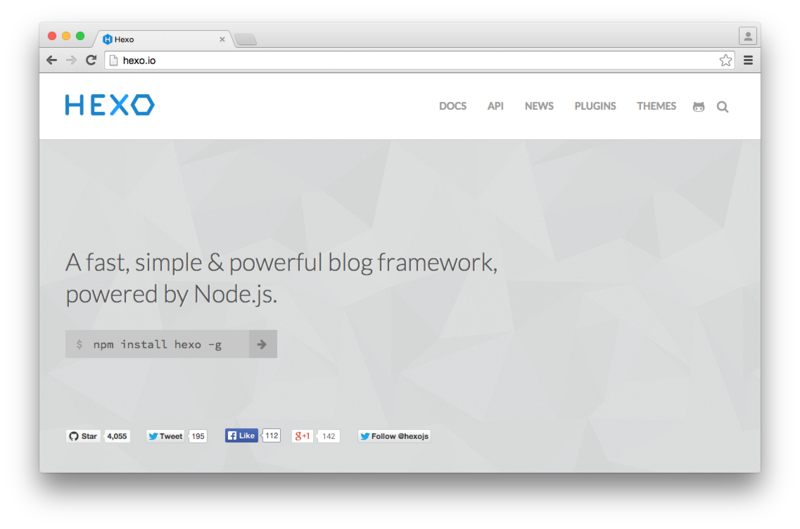 Of all the Node.js static site generators listed in this article, Hexo is by far the most popular on GitHub. Hexo’s documentation is straightforward, beautiful, and includes a comments section at the bottom of each page. Besides, on GitHub you can find a lot of minimal themes, many of which are forks or derivatives of Ghost themes. Hexo is very much a descendant of Ghost, with a focus on user experience and minimalism. It also tries to get you up and running as fast as possible. I believe this makes Hexo the most beginner/designer-friendly system for creating lightweight blogs. 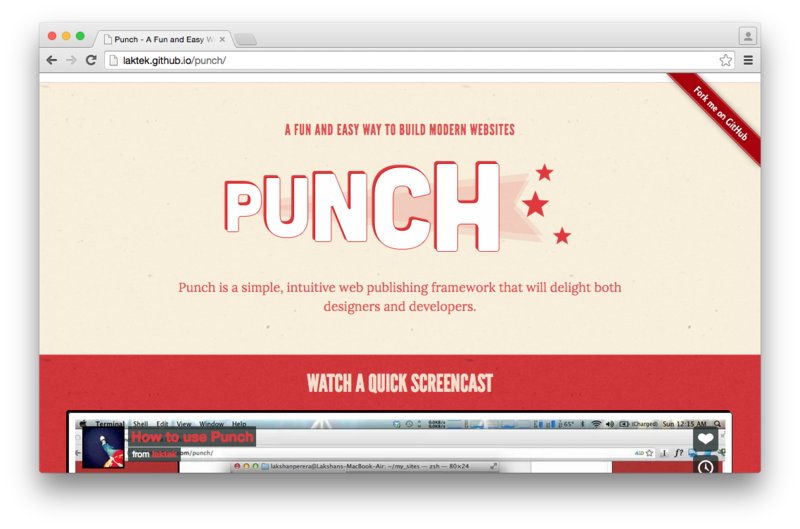 Punch is one of the two Node.js-based static site generators in this article that claims to be easy for both designers and developers. It’s easy to set up Punch, but it gives you very little more than a blank page when you start working with it. A basic starter theme is available, but the rest is up to you. Even with a cursory glance at DocPad‘s website, it’s clear that DocPad is an ambitious project. If you were looking for a point-by-point illustration of what sets DocPad apart from Jekyll, you don’t have to look too far. At the bottom of DocPad’s introduction page you can find a comparison table showing what each system has to offer. These criteria are, of course, based on what DocPad deems necessary for a full-featured CMS. The DocPad documentation is extensive and exhaustive; it has to be so to account for the myriad of features provided by the system. Although very well-documented, I wouldn’t say DocPad is well suited for a beginner. Throwing out terms like abstraction has the potential to turn away a beginner or a designer with little to no coding experience. When it comes to front-end tools, libraries, and software in general, there’s never a shortage of options. Are you looking for maximum control? Or perhaps plug-and-play? Each of the Node.js static site generators listed in this article has something for your web development personality!